Yes, it would be safe to take the Colon and Digestive Tract with insulin. 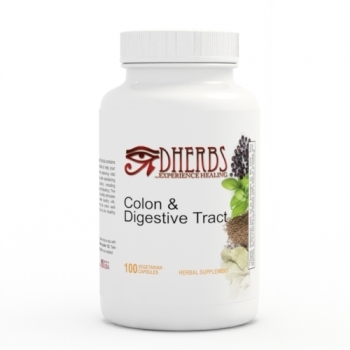 Hello, What is the difference between the Colon & Digestive Tract supplements and the Bowel Motion supplements? Both supplements help produce bowel movements. The Bowel Motion formula is more so a natural laxative and is more potent; it can be taken daily or as needed. The Colon & Digestive Tract formula helps produce bowel movements in addition to repairing the health of the intestine; it should be taken on a daily basis. We suggest taking the Bowel Motion formula if you experience chronic constipation or if you don't move your bowels on a regular basis. I'm currently nursing. Would this product be safe for me? Unfortunately you cannot cleanse or take this supplement while breastfeeding. Because you're detoxing your body of toxins, you want to avoid exchanging bodily fluids with your child. We suggest that you try the Electric Greens Combo and the Pre-Natal Laxative to naturally and safely cleanse your body. It's best to take the Colon Formula in the early evenings like around 7pm so you can anticipate bowels movements in the mornings. The Digestion Aid is best taken after meals. You can take them together, just be sure to allow 1-2 hours in between taking each formula. Can someone with Diverticulitis use this product? Yes, the Colon and Digestive Tract formula is safe to consume. We recommend that you do the Full Body Cleanse followed by the 10 Day Colon Cleanse to help heal the conditions of Diverticulitis.